At Crêapan, we want our products to be as homemade quality and taste. We therefor stay as close as possible to traditional recipes and with our expertise we use and develop production methods that give our products that home made feeling. 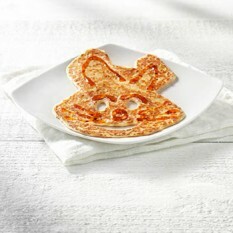 Crêapan has developed a wide range of relevant products, including an extensive assortment of crêpes and pancakes. Our R&D department is creative, innovative and creates delicious products responding to our high quality standards. 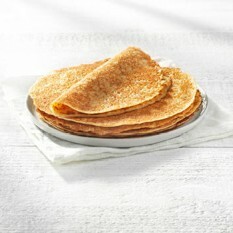 Crêapan bakes many varieties of Dutch crêpes, to meet the particular tastes and needs of customers. 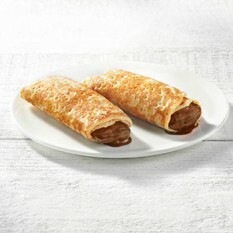 Sweet or savoury, thick or thin, we can supply what is needed. 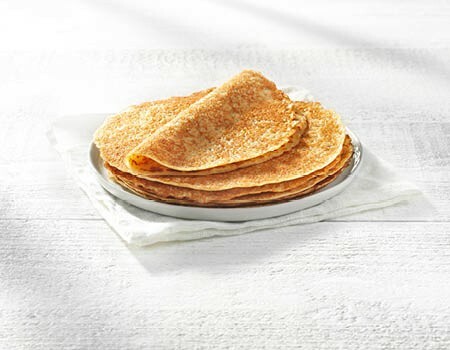 Would you prefer to have your pancakes made of spelt flour, or do you have other special requirements? No problem at all. At Crêapan, we’ll take care of all your specific needs. 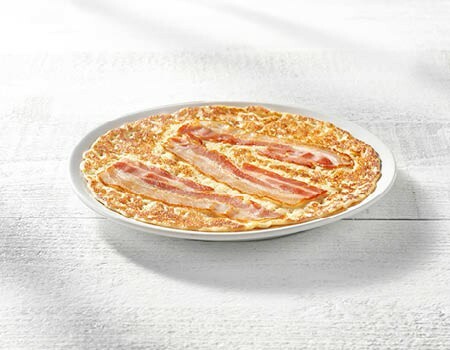 Crêapan also offers delicious ready-made pancakes, with bacon or cheese on the top; very delicious, and an easy solution for breakfast, lunch or dinner. 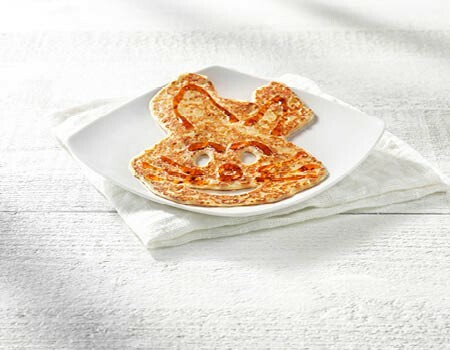 We have all the facilities to create delicious pancakes or crêpes with various fillings, like Belgian chocolate, apple and strawberry, to name only a few of the most popular. Delicious as a dessert. Click here for the filled crepe Foodservice leaflet! 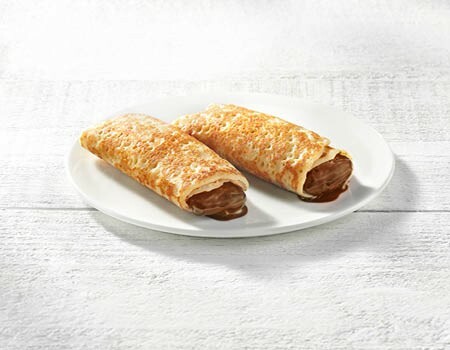 These pancake bites are a typical Dutch treat. 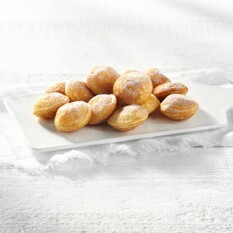 Now these ‘poffertjes’, as they’re called in Dutch, are rapidly gaining popularity outside the Netherlands. 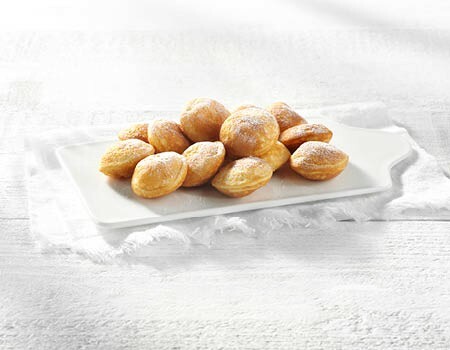 Poffertjes are deliciously light and fluffy, and are often served as a sweet snack or as a dessert – especially yummy with a little butter and powdered sugar, or when dipped in a chocolate sauce. 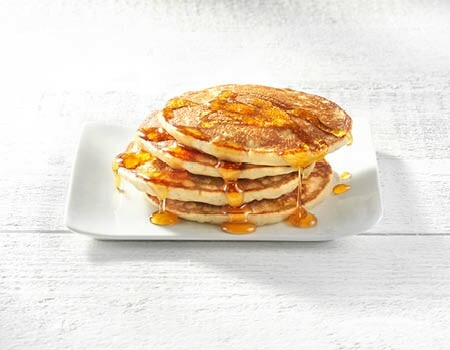 Click here for the pancake bites Foodservice leaflet! This smaller, thicker type of pancake is often eaten as part of an American breakfast. We make them in many varieties, such as natural, blueberry or chocolate, and in different sizes. You can choose between the fluffier ones or the toaster cakes, a sturdier variety ideal for the toaster. You can’t start your day in a better way! 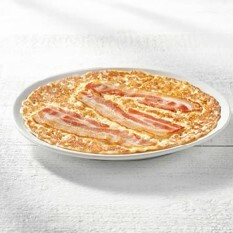 Click here for the American pancake Foodservice leaflet! We are all about pancakes, but we also make related products including blinis and Danish aebleskivers (sphere shaped pancakes). In addition, for that extra special occasion, we have the capability to create unique shapes and forms like Easter bunnies or even soccer shirts. Are you curious about the many special varieties of pancakes that are available?